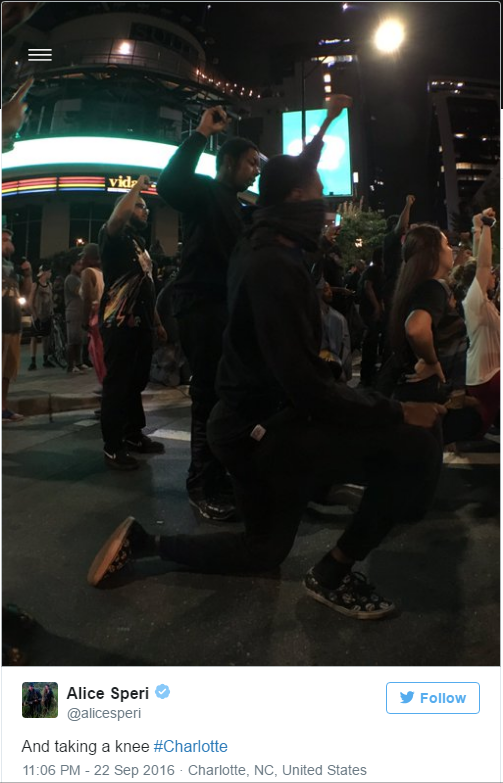 Protesters in Charlotte demand transparency and accountability. BREAKING (9/24/16): On Saturday evening, police released two videos, but additional videos remain secret, as well as audio dispatch recordings. All videos and other recordings of the incident should be released immediately. We agree with the protesters in Charlotte that police tapes of the killing of Keith Lamont Scott should be released immediately. With conflicting stories about what happened, the public is left only with questions and anger. But police are stalling, claiming that releasing the videos will undermine their investigation. Unfortunately, they are all too willing to undermine transparency, accountability, and the people’s trust in the police. Given the allegations that Scott was unjustly deprived of his right to life by police, one of the most serious violations of the Bill of Rights one can imagine, and the widespread concern over police impunity for the killing of African-Americans, we believe the situation demands full transparency. Like the protesters, we have demanded the release of all police videos of Scott’s death. We urge you to join us, and the people of Charlotte, by taking action. Whatever happened, the public has a right to know. We have always supported calls for transparency into allegations of government misconduct, whether they were committed by a local police officer accused of an unjustified killing or federal officials accused of war crimes, like torture. Our strength is in the power of our grassroots activists like you. That is why we urge you to take action and call on Mayor Jennifer Roberts to make the videos of Scott’s death public.